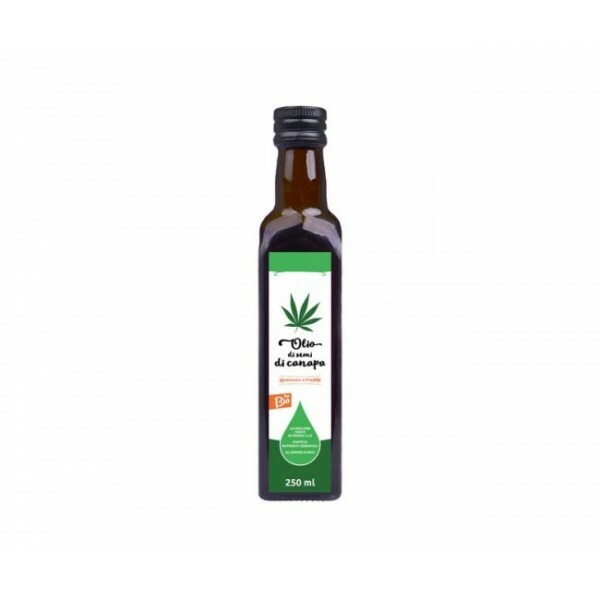 Hemp seed oil is a cold-pressed oil from hemp seeds of the highest quality and therefore it carries all their beneficial nutritional values – omega acids 3,6 and 9, valuable proteins, minerals, and vitamins. It is great nutrition for the body, inside and out. Hemp seed oil is a cold-pressed oil from hemp seeds of the highest quality and therefore it carries all their beneficial nutritional values – omega acids 3,6 and 9, valuable proteins, minerals, and vitamins. It is great nutrition for the body, inside and out. Hemp seed oil contains DHA acid and is nowadays a great alternative to fish fat with anti-inflammatory effects. Suitable for everyone. It is used for the support of natural immunity, heart protection, healthy skin and maintaining a normal level of glucose in the blood. It also works very well on cholesterol levels and the functions of muscles and joints. Chlorophyll helps with detoxication. Use for cooking up to 3-5 months after opening. Afterwards, it is suitable for external use only. Close the bottle tightly. 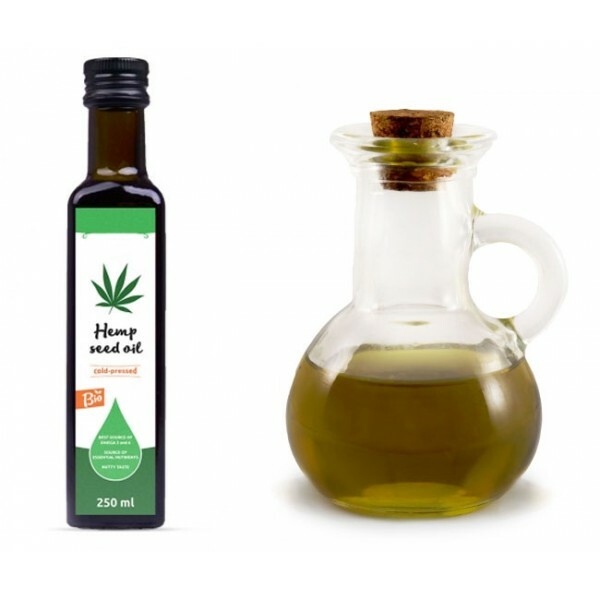 Hemp seed oil is not suitable for frying but rather for cold dishes – salads, pasta, or as a spread instead of butter. It is suitable for pregnant and breastfeeding women, vegans and for people on a gluten-free diet.